The Pistons got $16 million in tax breaks to build a $65 million facility as part of the team’s move to Detroit. The team is donating more than $2.5 million to recreation and workforce training programs in the city and another $2.3 million on youth sports, education, arts and anti-hunger initiatives. In 2015, when the Detroit Pistons were in talks to return to the city after 39 years in the suburbs, the basketball team brought in a young gun with White House ties and urban roots to help engage the community in the deal. Several factions were involved: A billionaire who wanted to move the team downtown; elected officials leery of giving away too many financial incentives; and neighborhood leaders who feared everyday residents would get nothing from the move. 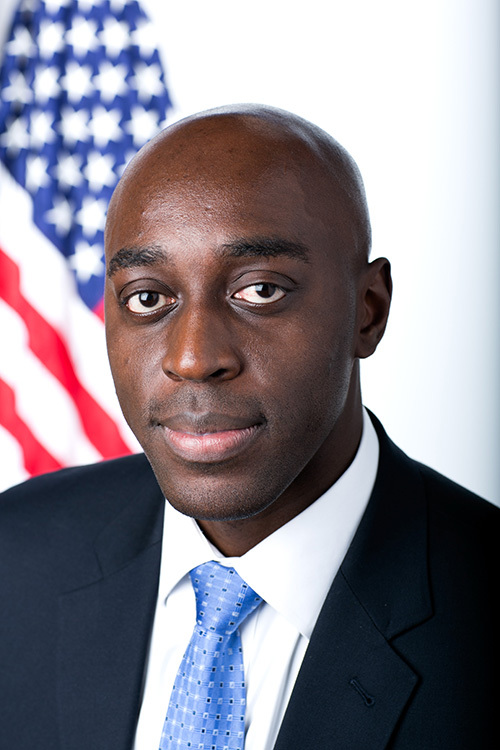 Awenate Cobbina, a former special adviser to Barack Obama, was hired as vice president of business affairs for the Detroit Pistons, associate legal counsel and executive director of the Detroit Pistons Foundation, the team’s charitable arm. As an African-American man who had been an adviser to the first African-American president of the United States, Detroit’s black community’s expectations of him were as high as the tensions. Detroit gave big tax breaks to lure jobs. Too bad they pay so little. 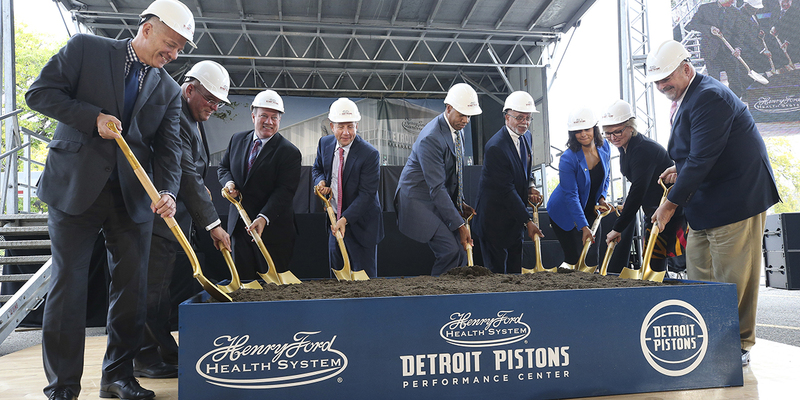 Cobbina helped ink a deal that netted the Pistons a $16 million tax break for its new team headquarters and practice facility in the New Center neighborhood that will also include a sports medicine and office building owned Henry Ford Health System. Separately, the Little Caesars Arena project received $34.5 million in taxpayer financed funding to retrofit the building for the Pistons; deals that came atop more than $250 million in taxpayer funding for the arena. The Pistons’ new headquarters will cost less than $75 million, so the project wasn’t big enough under city rules to require a community benefits agreement to ensure residents got something out of the deal. But under Cobbina’s guidance, the team voluntarily agreed to meet with neighbors and sign onto one of Detroit’s first community benefits agreements. It promises $2.5 million in renovations to public basketball courts over six years as well as a commitment that 51 percent of the construction jobs on the Pistons headquarters and practice facility would go to Detroit residents. That’s the part of the story that’s publicly known. But what’s less known is that the Pistons Foundation is on track to exceed that agreement in scope and funding. The Pistons, who wrapped up their first season at Little Caesars Arena in April, are playing to help the city win, Cobbina said. The Pistons Foundation started increasing its donations before the move to the city. Since 2015, the organization has increased giving seven-fold to more than $700,000 in grants per year. The foundation has historically focused on southeast Michigan, but over the past few years steered most of its giving toward Detroit. More than $2.6 million is donated to satisfy the community benefits agreement, while the foundation has committed another $2.3 million-plus to Detroit programs related to youth sports, education, food rescue vehicles and arts programs. Awenate Cobbina, 38, was hired as the vice president of business affairs for the Detroit Pistons and executive director of the Detroit Pistons Foundation in 2015. Part of his job is to be more “intentionally focused” on charitable giving within the city. Cobbina, 38, talks about Detroit with a newcomer’s hopefulness. But beneath that is a deeper understanding that comes from growing up in Washington, D.C., a city with similar problems to Detroit. Cobbina said off-the-court work is personal for him, Pistons owner Tom Gores who grew up in Flint, and team vice chairman Arn Tellem, who is from Philadelphia. “We understand urban communities. We also understand the influence professional athletes, especially basketball players, given the urban nature of the game, and teams have on young people,” Cobbina said. But make no mistake. Skepticism remains among those who say the donations are a pittance for what the team and Little Caesars Arena cost taxpayers. City Councilmember Raquel Castaneda-Lopez, whose council district includes the arena, voted against tax breaks to facilitate the Pistons’ move from Auburn Hills. She said the community benefits agreement made too many promises about partnerships with the Pistons that had no specific dollar amounts or ways to measure if the promises are kept. Under the Pistons’ 10-point community benefits agreement with the city, the team volunteered to renovate 60 public basketball courts; donate 20,000 game tickets per year to Detroit organizations; sponsor summer jobs for Grow Detroit’s Young Talent training program and give $100,000 to the Detroit Employment Solutions Corp. to improve skilled trades training at Randolph Career Technical center, a trade school within the Detroit Public Schools Community District. The first of the basketball courts will open in August, according to the Pistons Foundation. Gores wrote an email to Bridge calling the team a “community asset” whose move is an opportunity to do more for Detroit. $225,000 over three years to the Detroit Symphony Orchestra and $30,000 over the same period to the Sphinx youth music competition. The foundation also this year approved a three-year, $450,000 grant to expand City Year, a national nonprofit that helps urban students, to nine schools in Detroit from seven. “It’s a game changer for us,” Andrew Stein, executive director of City Year Detroit, said of the Pistons grants. Michael Tenbusch, executive director of the S.A.Y. Detroit Play Center, said the Pistons Foundation is distinguishing itself by making multi-year commitments. “A lot of foundations want to give a little bit to a lot of organizations, but that doesn’t make a change, that’s like a one-night stand,” Tenbusch said. Cobbina said he knows skeptics are watching the economic development near downtown with a side-eye, waiting to see if the benefits trickle into the rest of the city. And he said he knows they will be waiting to see if the Pistons team will continue to invest in the city. The Pistons just threw some pizza crumbs to the city to get this deal, "basketball courts" seriously? this city has serious problems that aren't going to be solved by this kind of token gesture.